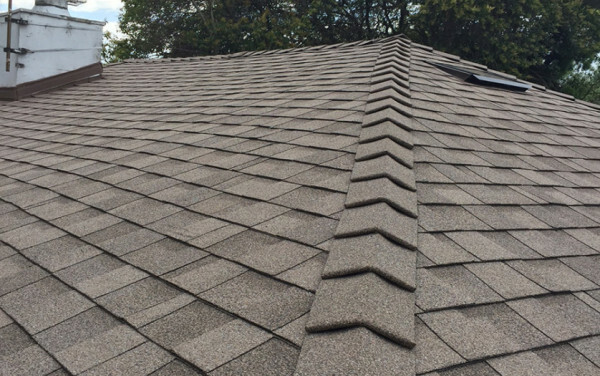 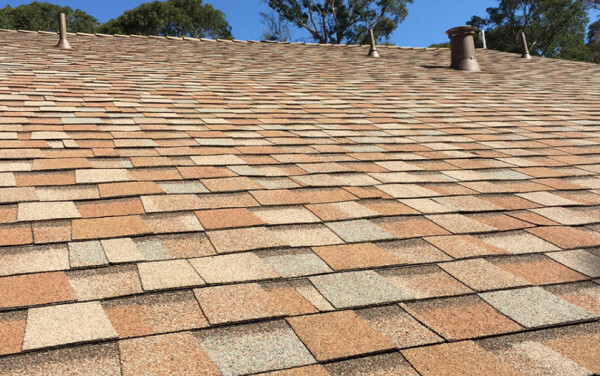 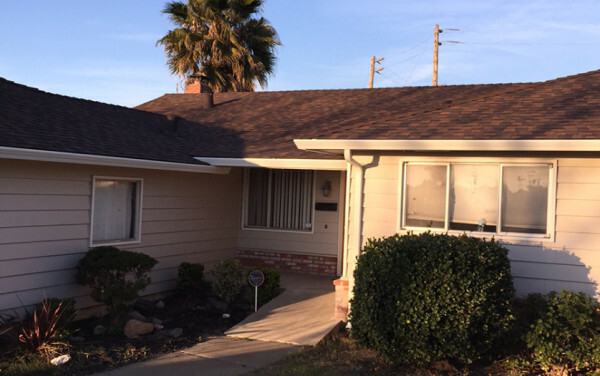 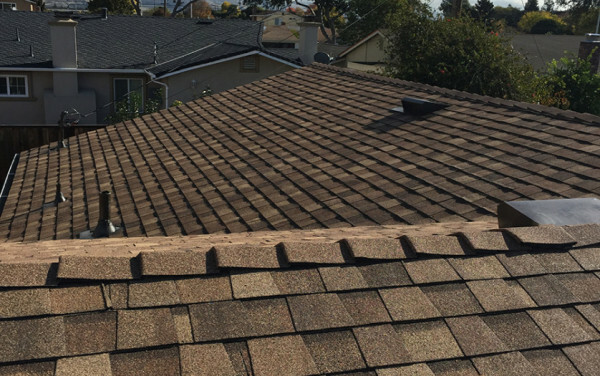 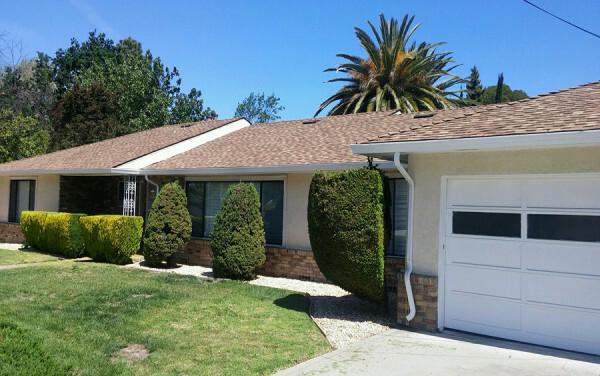 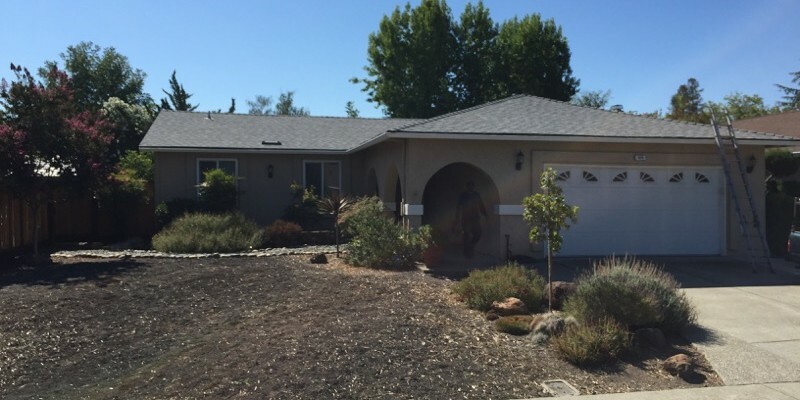 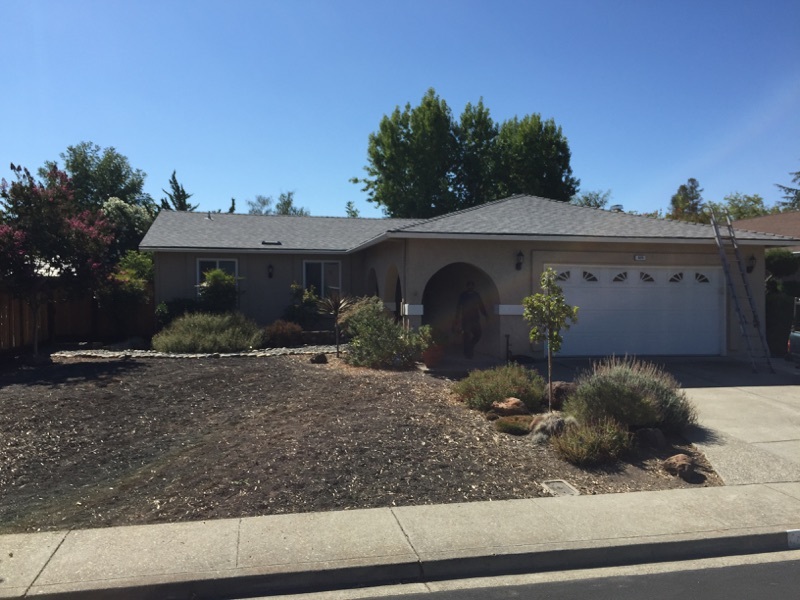 We installed 26 squares of Landmark Pro shingles by CertainTeed, color: Burnt Sienna–a very rich, multi-colored brown that adds curb appeal to your home. 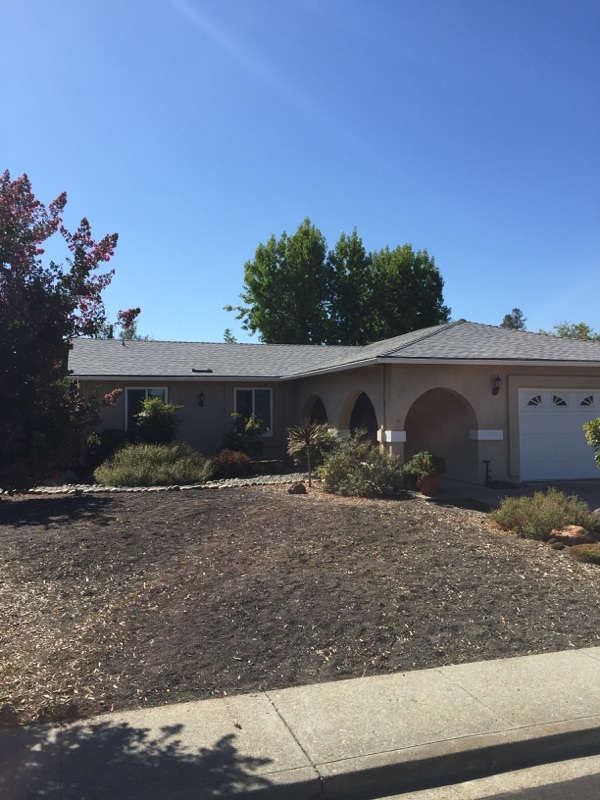 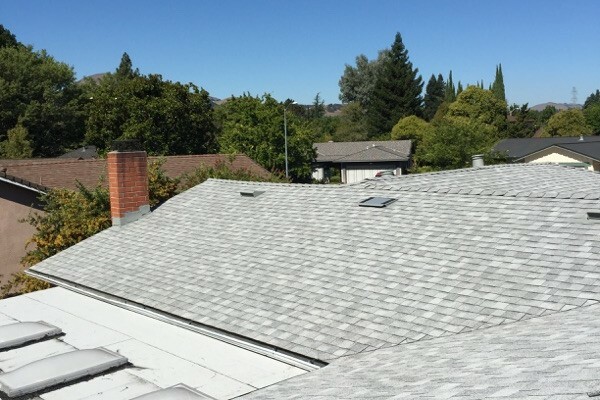 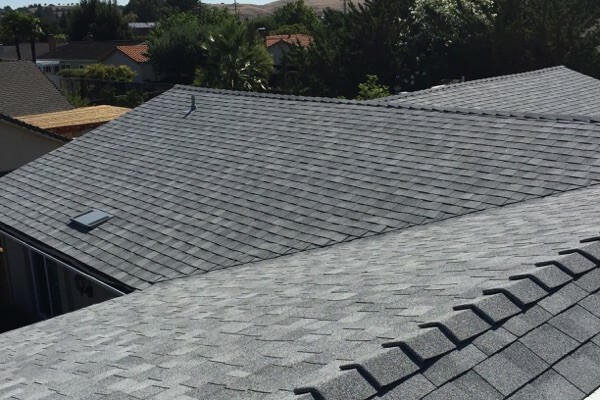 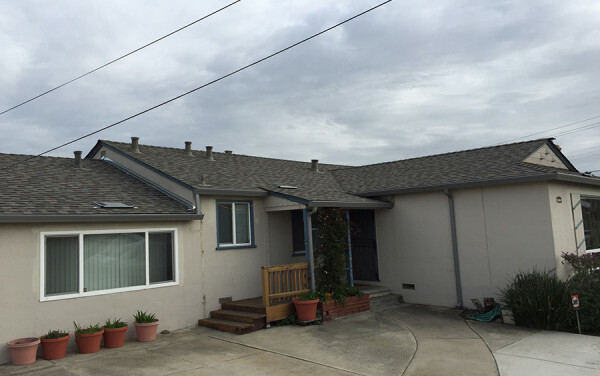 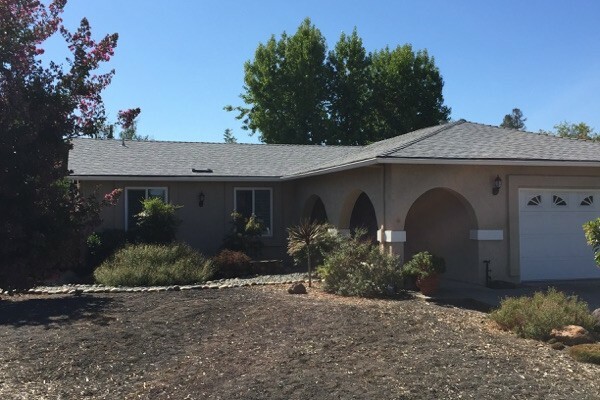 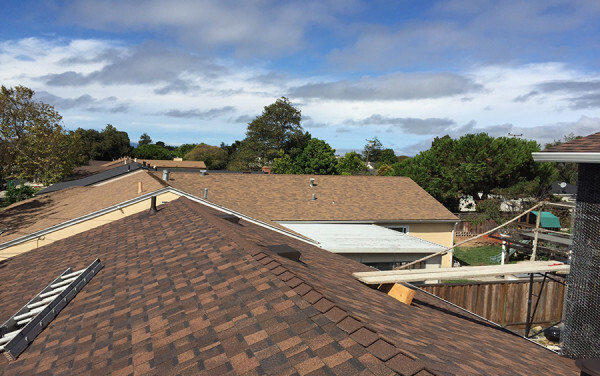 We had the opportunity of working with Mike Luciani from‪ Property Pros Construction‬ on this new roof job in San Lorenzo. 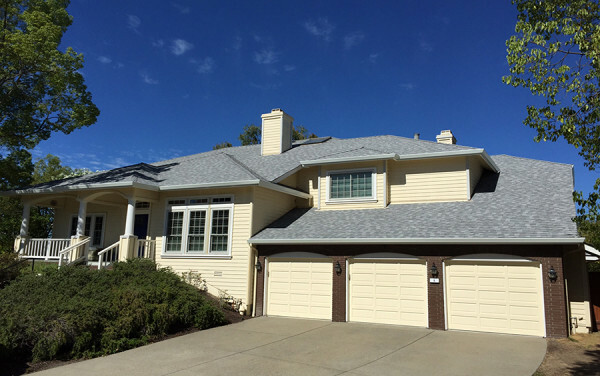 They changed this one-story home to a two-story, and left us responsible for installing the high quality, heavy-duty roof you see in these pictures. 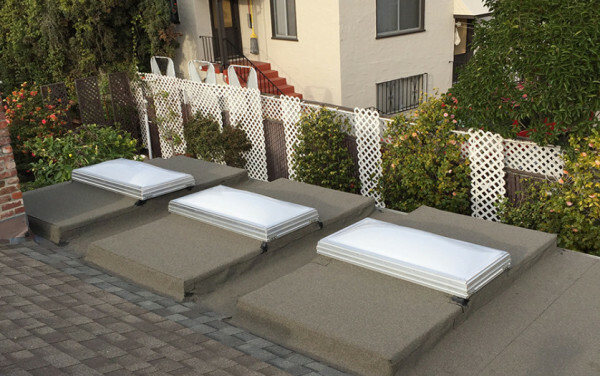 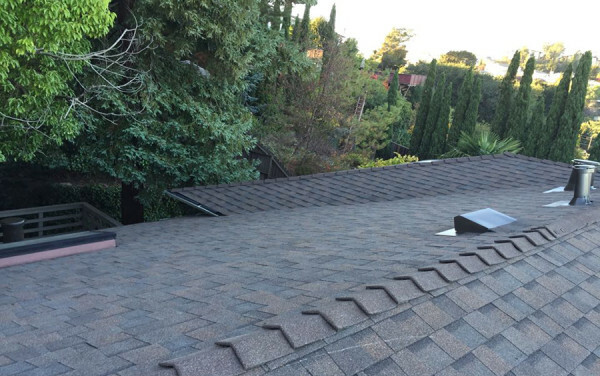 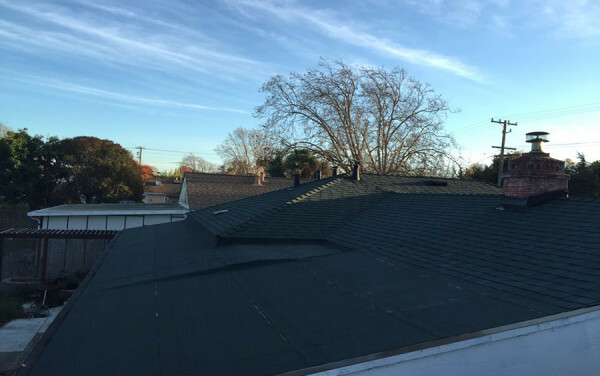 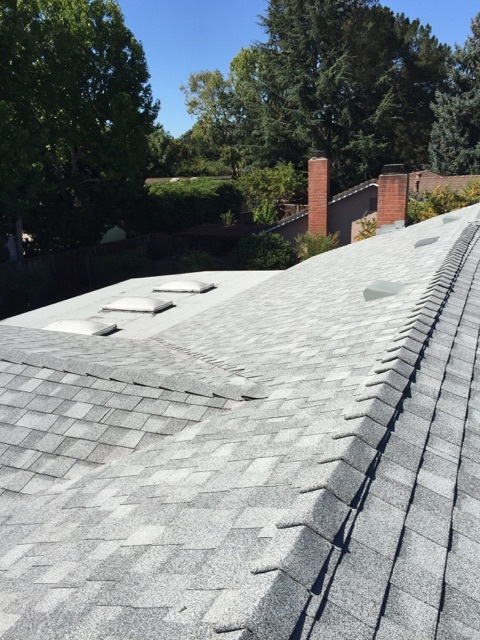 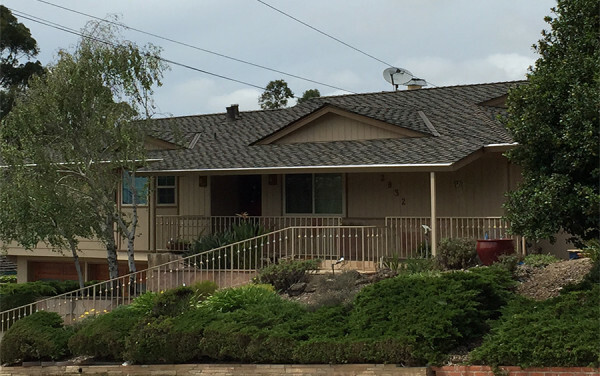 Mike’s crew installed plenty of skylights on this roof, so we sealed them up with galvanized step flashing, making them ready for this winter’s El Niño. 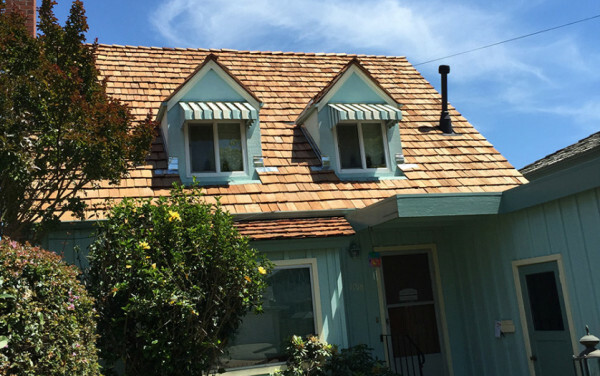 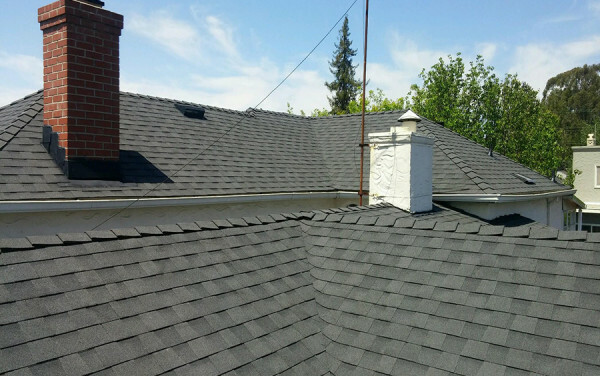 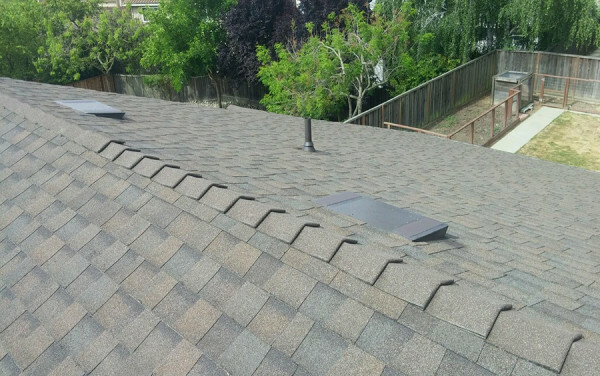 We also installed new O’Hagin attic vents and vent flashings, painted perfectly to match the roof. 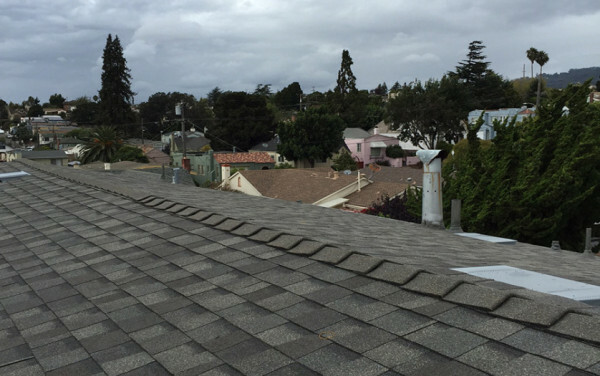 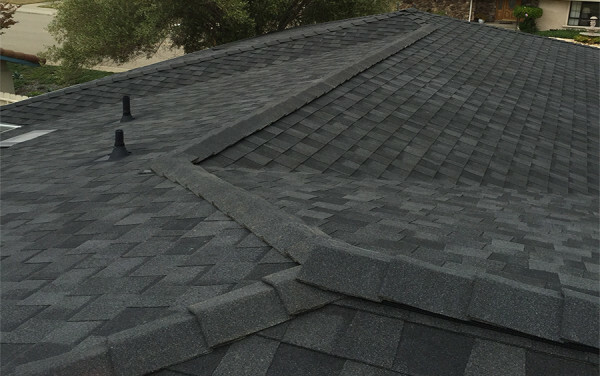 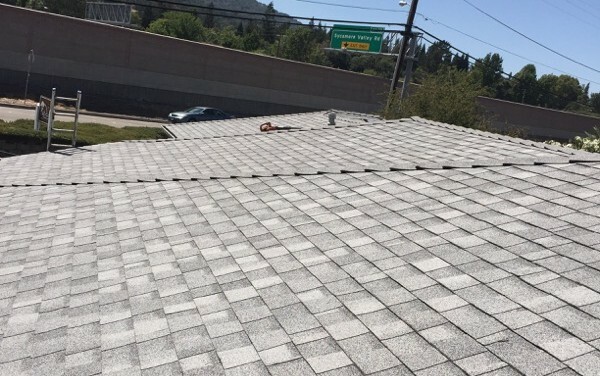 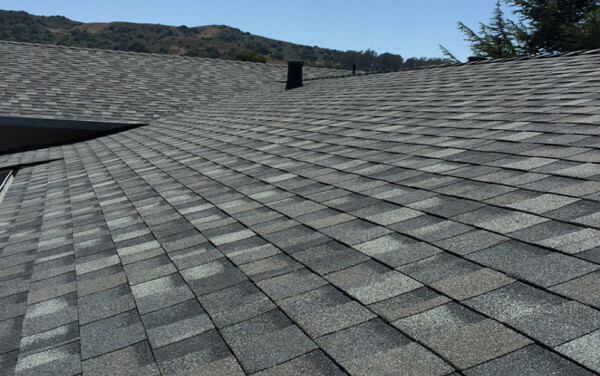 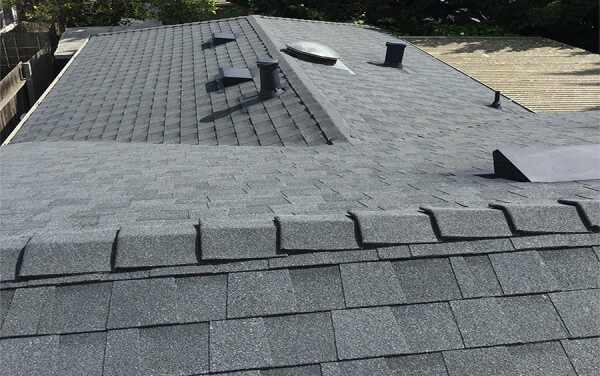 Finally, we topped this roof off with new Rapid Ridge cap shingles along the ridgelines. 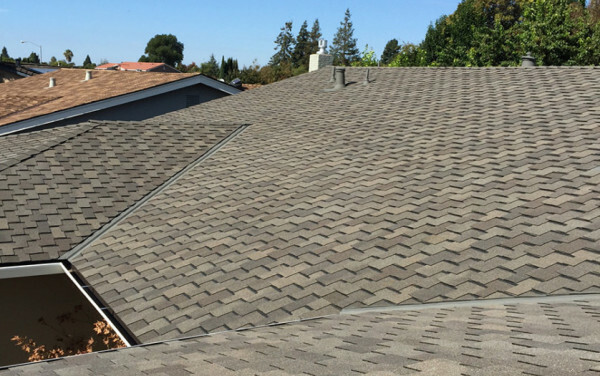 These homeowners are beyond happy with how this work has turned out. 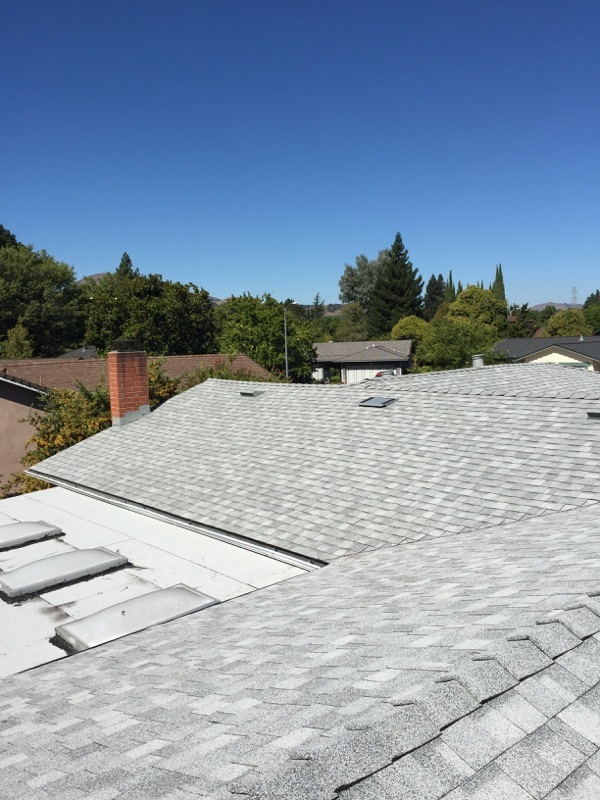 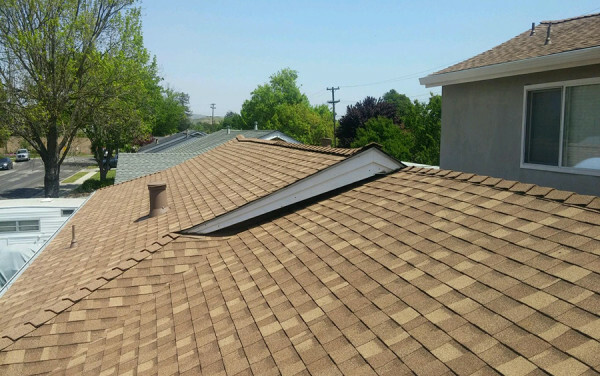 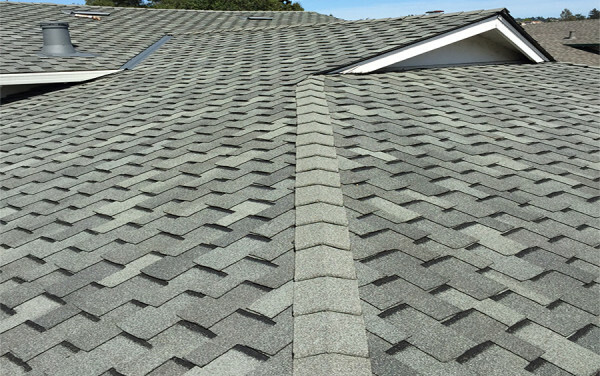 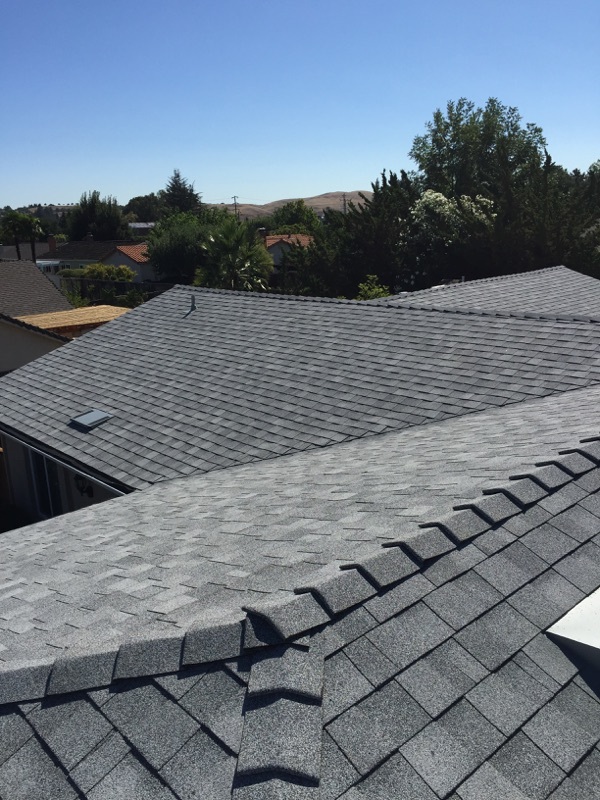 They now have a two-story home that is better insulated (due to the installation of additional attic vents), offers better protection, and looks better than they could have imagined.